Afaia. 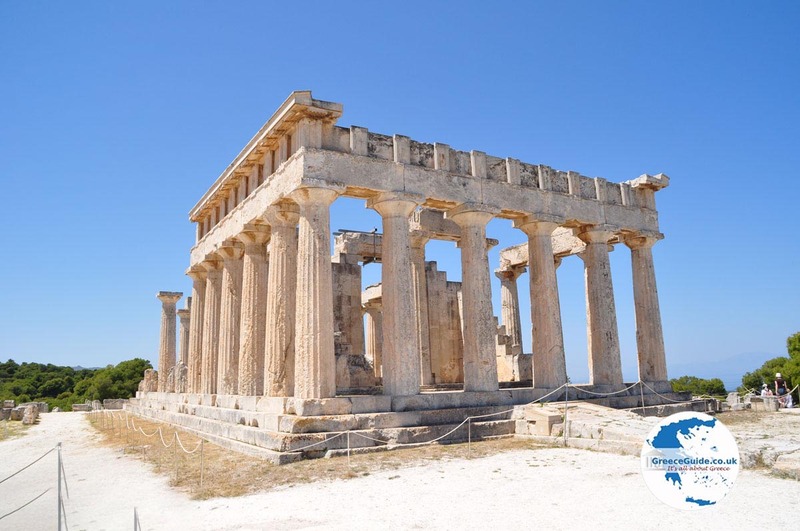 The Temple of Afaia is the most famous archaeological site of the Greek island of Aegina. 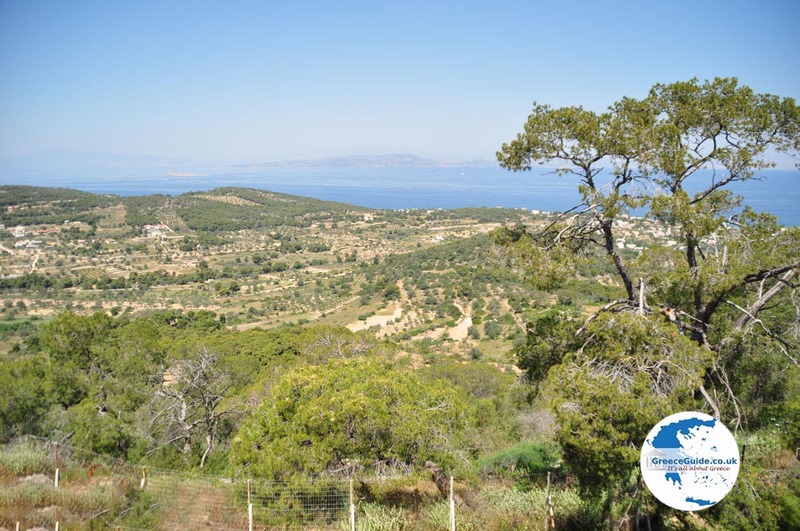 Afaia is located about four kilometres from the seaside resort of Aghia Marina, on top of a hill at an altitude of 160 meters. From here you have a very nice view to the sea and the whole area. 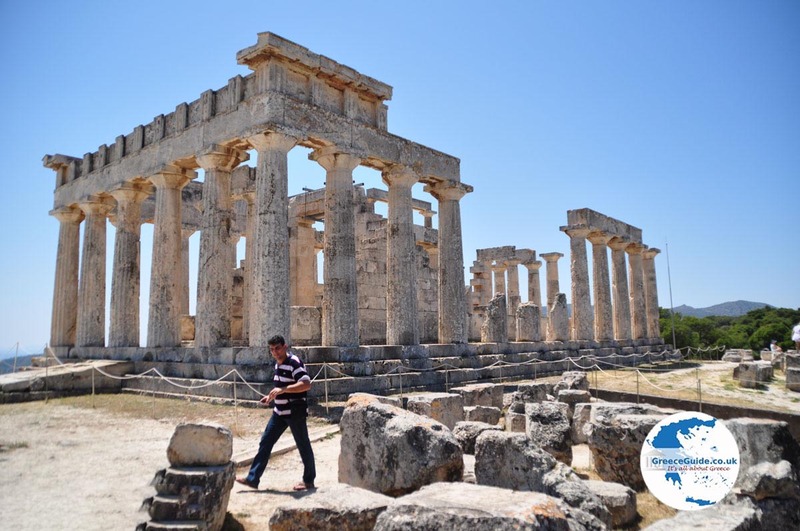 The temple would be built in the year 500 BC in honour of the Goddess Afaia, the Goddess of fertility. On the same place might have been spiritual activities since the year 1300 BC. 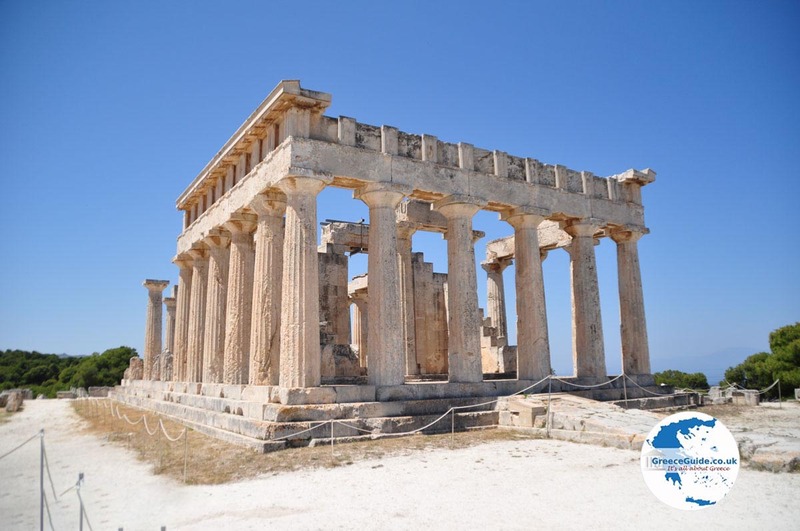 According to Greek mythology Godin Afaia came from Crete where she was best known as goddess Vritomartis. When King Minos fell in love with her, he wanted to conquer her, but she resisted. She fled and jumped into the sea where she was found by fishermen who took her to Aegina. Eventually the goddess Artemis took her into protection. When residents of the island tried to find her, she was nowhere to be found and she was turned into a statue. Hence the name Afaia, because Afaia is derived from the word that means Afanti; invisible. 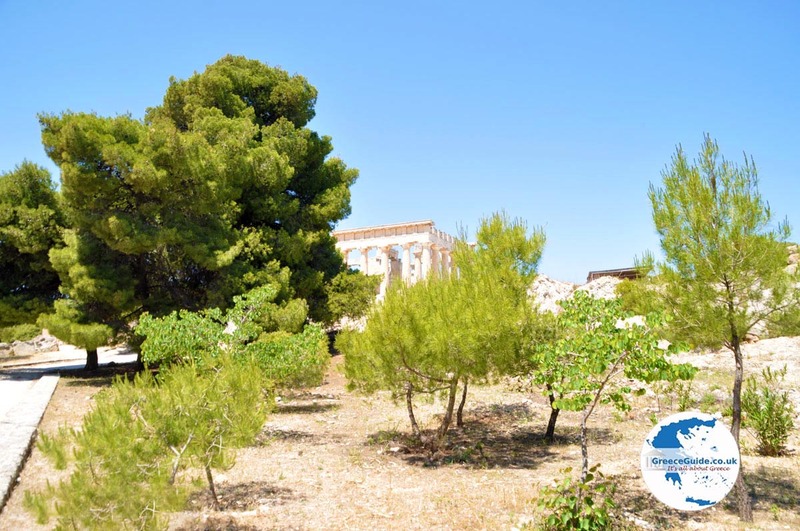 In ancient times on this site, which was regarded as very holy, three temples were located here. 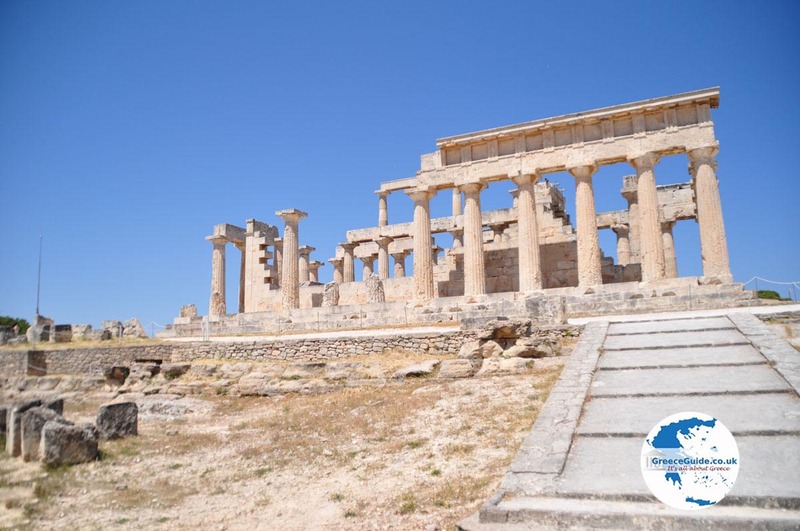 The Temple of Afaia was built around 500 BC, immediately after the great battle of Salamis. 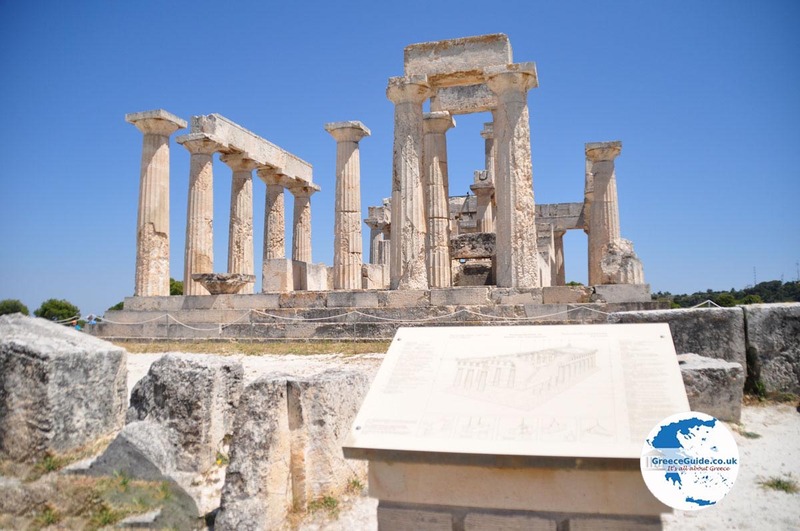 Aegina had participated in the battle of Salamis against the Persians of Xerxes. 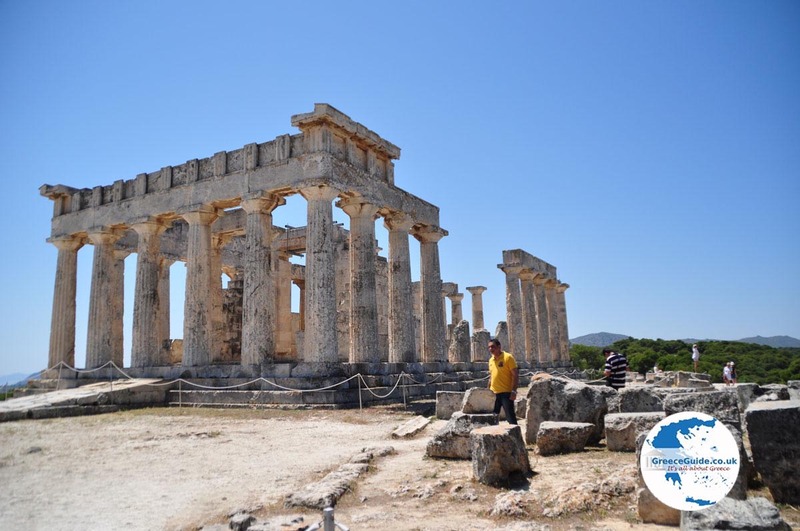 The Temple of Afaia is 13.77 meters wide and 28.81 meters long. 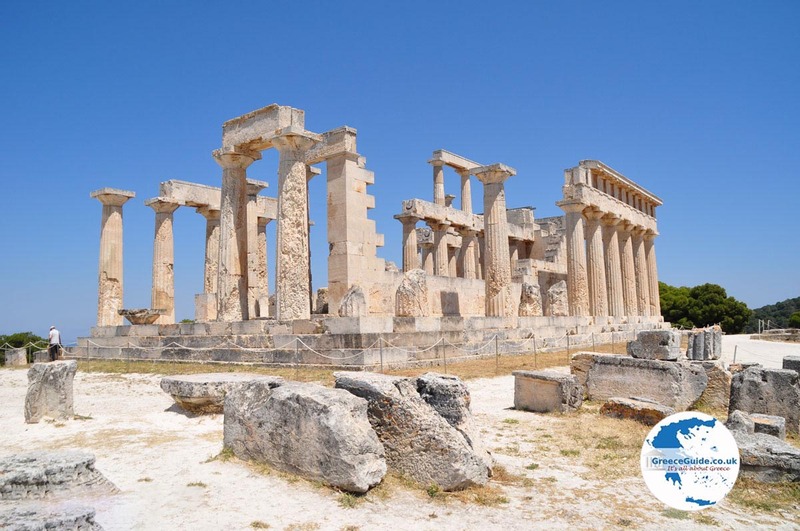 It is a Doric temple consisting of twelve pillars. 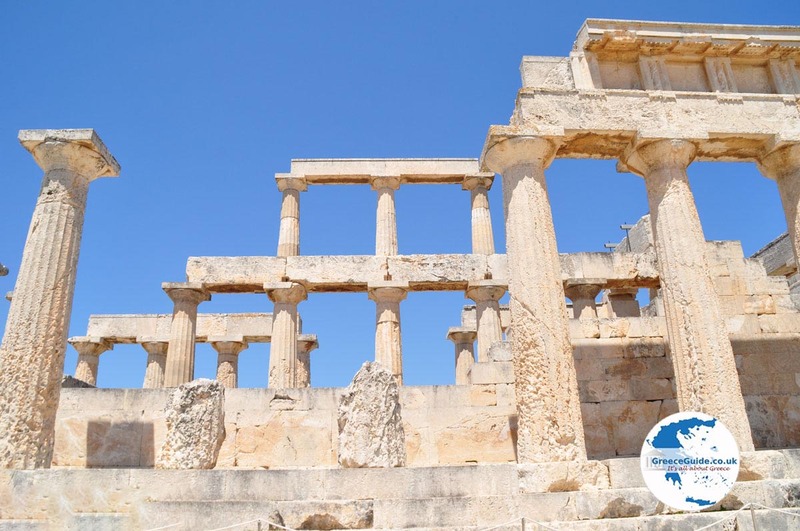 The facades on both narrow sides were once decorated with marble sculptures depicting the Trojan War and depicted heroes from Aegina that had participated in the war. 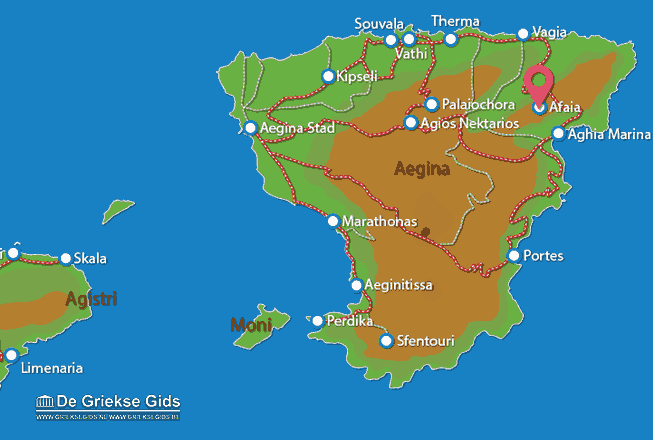 Aegina: Where on the map is Afaia located?